Al the work to Remodel is finished! One of a Kind Ken Fuqua Built, Customized to make it a 4/3/2 w/2 Master Suites! 1st Down & 2nd Up. Granite Counter everywhere. Custom Built Kitchen Cabinets w/Deep SS Chef Style Sink, 5 Burner Gas Cook Top & Convection Oven, Lots of Cabinet & Storage Space, Large 2nd Floor Master Bedroom has Full Bath Room, Walk-in Closet & it's own A/C & Heating system. This Room can also be an Office/Studio, Workshop or Game Room. The Home has a Large Den w/Vaulted Ceiling, Floor to ceiling Brick, Wood Burning F/P flanked by Built-ins with Granite Tops and Reeded Glass Doors. Dining, Breakfast & Entry w/Center Home Atrium brings in both Natural Light or your own lighting at night! 3 Bedrooms Down 1st Master Suite. 2 A/C & Furnace units, Great Katy ISD! 5 Min. from I-10 or Beltway 8. 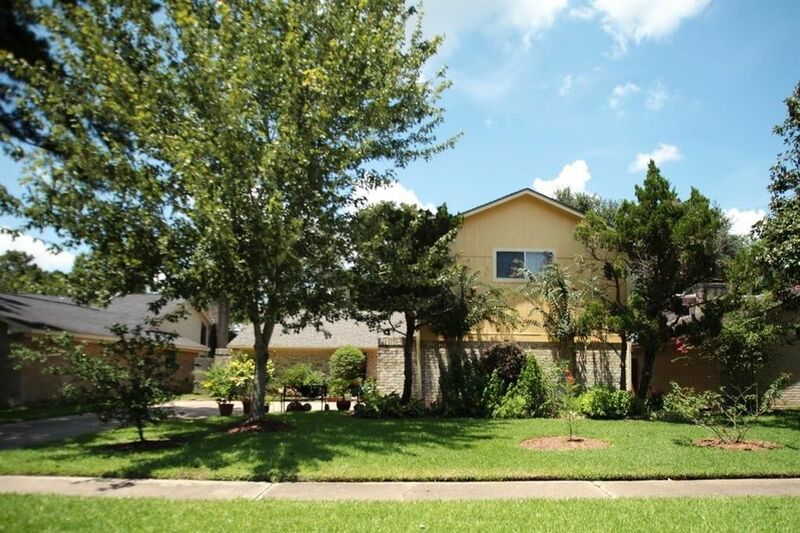 Cool Lushly Landscaped Back yard & 2 Covered Patios 1 off Master Suite! the other out the French Doors in the Den. Sprinkler System. Directions: From I-10 take Hwy 6 North, R on Clay, L on Hickory Downs, r on Whispering Falls, Follow road around to the L and take the first street on the L, on Blueberry Hill. Home down on Right.